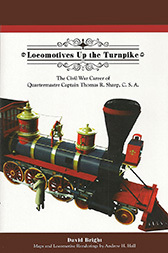 Presented by Edward T. Cotham, Jr. In the spring of 1880, former President and Union General Ulysses S. Grant made a visit to Texas. Fanned by unprecedented press speculation and coverage, huge crowds and celebrities turned out to greet Grant everywhere he went. This was particularly true of the general’s visit to Galveston, at that time the largest and most prosperous city in Texas. Where did Grant go and what did he do? What did he say? And most importantly, what did he eat? 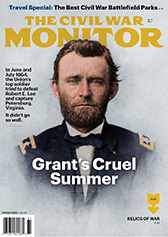 Respected historian Ed Cotham answers these questions and more as he chronicles the extensive newspaper coverage of Grant’s historic visit to the island city in his newest presentation for the Menard Summer Lecture Series. 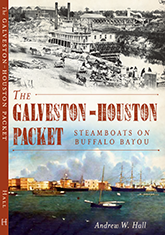 Before the railroad, before the Interurban, before the scourge of construction detours on the Gulf Freeway, Galveston and Houston were first linked by steamboat. The water link between the two cities helped establish both towns as the fastest-growing, booming communities in the state of Texas during the 19th century. The tale, largely overlooked until now, is one of cut-throat competition, horrific accidents, hard-fought battles and more. Join Galveston author Andy Hall, to explore some of this forgotten history. Though the Republic of Texas existed as a sovereign nation for just nine years, the legacy lives on in the names that distinguish the landscape of the Lone Star State. Austin, Houston, Travis, Lamar, Seguin, Burnet, Bowie, Zavala and Crockett- these historical giants, often at odds, fought through their differences to achieve independence from Mexico and established a republic destined to become the twenty-eighth state in the Union. Author Jeffrey Robenalt chronicles the fight to define and defend the Republic of Texas, from revolutionary beginnings to annexation. This powerful presentation takes place in the throes of the Texas Revolution, as the provisional government of Texas scrambled to put together a naval force to wreak havoc upon the Mexican supply lines. Having first resorted to the use of privateers (state sponsored pirates), Texas was able to borrow money in New Orleans in early 1836, to secure the warships Liberty, Invincible, Independence and the Brutus. Author and historian James Bevill tells the story of those four ships and the significant contributions of men made on the high seas in the fight for Texas independence. 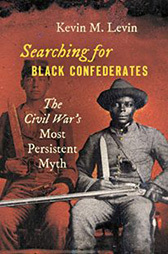 This remarkable story is triumphant and tragic, and an entertaining finale to the 2013 Menard Summer Lecture Series. Each talk takes place on Sunday afternoon at 2 pm, at Menard Hall, 33rd Street and Avenue O in Galveston. Tickets are $12 for each talk, or $40 for the series. Hope to see you there. Wow, Andy, “old guy” didn’t know you were an Andrew W. Hall, pretty spiffy! Congratulations. Break a leg.